When I was a child in New Zealand, Christmas was a simple occasion. Compared to the excesses of today’s celebrations you might even call it meagre. But it was fun and it was an adventure. 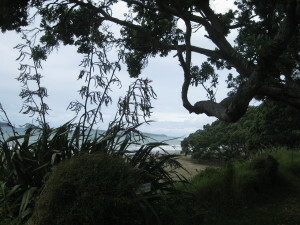 If Christmas in New Zealand sounds good to you, why not travel there with a camper hire. On Christmas morning, we would head off “down the East Coast”. Although Rotorua, our home town, had lakes, streams and hot pools where we swam all year round, the sea was something else and the very word was synonymous with summer, holidays, freedom and happiness. There never seemed to be a plan. We stopped at will at random spots – for a swim, for an ice-cream, to explore the bush, to look at a tree, for a paddle in a stream, for “forty winks” (nap), to “see a man about a dog” (have a beer or raspberry and lemonade, depending on age) at country pubs or for chance meetings with strangers and even long lost friends along the road. Our Christmas dinner was ham, bread and cold Christmas pudding. We ate it on the beach. Dad cooled his beer in a rock pool and lit a fire to boil up a battered kerosene tin for tea. Sometimes there was fizzy drink. Our Christmas tree was the ancient pohutukawa, the New Zealand Christmas tree, decorated with bright red flowers for the season. We watched the sun go down, and tucked up in an old army blanket on the sand we gazed at the fire and listened to Dad’s stories until we fell asleep.